This is the first time a team from the East Side of the state has won first place in this particular competition. In addition to earning the team championship, Mt. 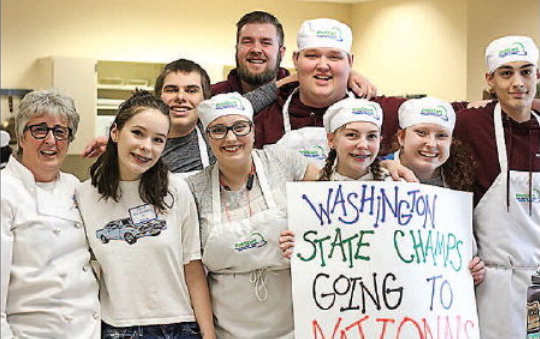 Spokane senior Katie Gross was named ProStart Student of the Year. Joanie Pringle-Jones is the Mt. Spokane Pro-Start teacher and the school's five member team includes: Katie Gross, Peyton Maxwell, Kendall Hoke, Ethan Pearson and Grayden Sweet.